Cooking was never an imperative part of my life while growing up. Though I was constantly surrounded by food and restaurateur parents, I was not very keen on learning to cook. I’ve probably cooked a whole lot in the past two years than I have in my entire adult life! Now that I think back, I wish I had paid more attention to mom’s words of cooking wisdom and her excellent recipes. If I had, then I probably would have discovered my passion for cooking much sooner. As they say, better late than never, I am still grateful I can ask mom for recipes and savor them here, thousands of miles away. 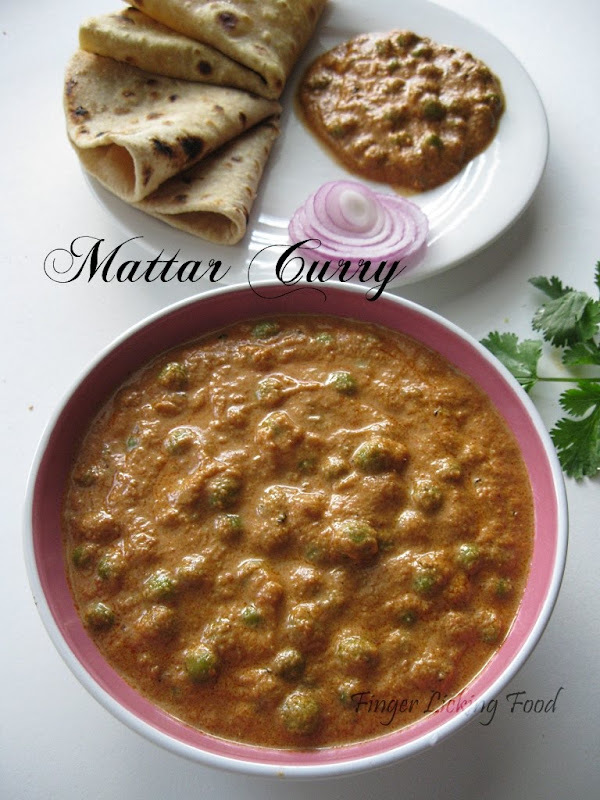 One dish mom made often and exceptionally well was the Green Peas(Mattar) Curry. This curry also happens to be my Dad’s favourite and he never failed to order this when we ate out. He could polish off an entire dish of the curry with no accompaniments whatsoever!The same happened when mom made it at home too. The other day, I was struck with this overwhelming nostalgia of Dad's f'inger licking' favourite, literally. I just had to make this curry to feel better :) I'm glad I did, this was a feast to the taste buds as well as a wonderful trip down memory lane. Heat oil in a pan. Add the whole cloves, cardamom and cinnamon stick. Add the ginger garlic paste and onion paste. Fry on medium heat for 5-6 minutes. Now add the turmeric, coriander and cumin powders, garam masala, cayenne and paprika. Also stir in the prepared tomato puree. Saute on low heat for 10 minutes. This thickens the gravy and helps the flavours blend well. Season with salt and add the dried fenugreek leaves. Stir in the cashew paste and cream. Combine well and bring to a boil. Adjust seasonings if required and turn off heat. This curry goes great with Butter Naans or plain rotis/chapathis. 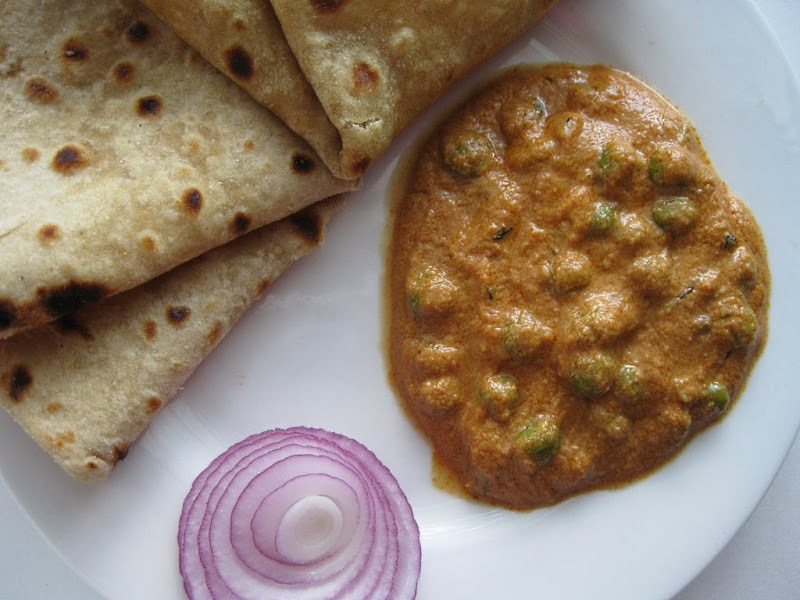 perfect and healthy peas curry. Nam, I totally agree here...it's better later than never! Hmm that indeed looks like restaurant style one...looks super yummy n colorful.. I am sure bookmarking to make this, looks really restraunt style and so so delicous. Nams, at what point are boiled peas added, probably the last stage? The dish looks brilliant! Awesome, this one has been bookmarked! Gravy looks rich and yummy! This was fantastic n followed the exact recipe, it was just loved by all, but moreso..my kids lapped it up! (Fussy younger one, also asked for huge bites of them!) Glad I chose this recipe! Keeper! THANKYOU so very much! We had this with pooris last night. Like all your other dishes this too was 'finger lickin good! peas curry looks rich and creamy. peas are awesome no matter what dish they are in. The curry looks delicious and your pics are getting better by the post! 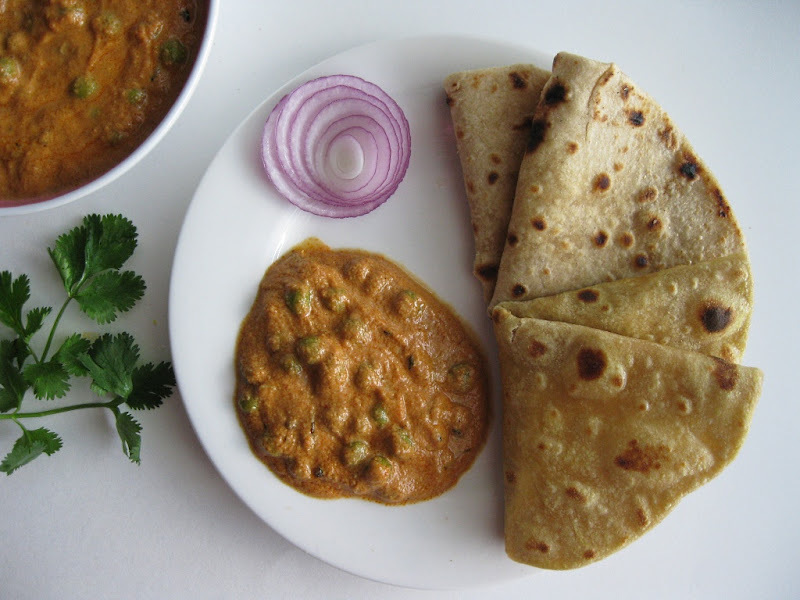 Hey Namratha, Your blog is a treat for the eyes, with a wonderful collection of recipe! Please accept 'One Lovely Blog Award' from me at my blog! I have no clue about cooking, but I need to cook being far away from my mom.